There are some things that leave me asking why, with what we know today, is this stuff still happening. 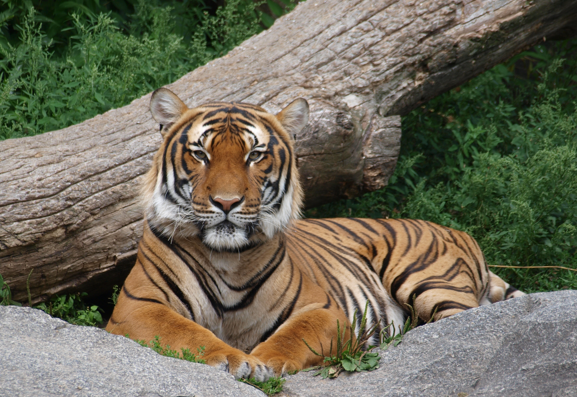 Tigers have long been the victims in the unrelenting and cruel pursuit of pseudo-medicine. Tiger farms (parks) in China have been allowed to flourish and the trade in Tiger parts continues despite the species being listed as Endangered. Most recently 10 Tigers were killed to entertain rich Chinese business men. Wealthy individuals paid money to see Tigers killed, then to eat them, Tigers literally dying to be the main course. The details are gruesome and it ended with 15 arrested and one of the participants leaping to his death trying to evade capture by authorities. Entertainment, corruption, greed, death. There are less than 3,000 Tigers left in the wild (maybe) and 5,000 + in China in captivity. Will those who profit from and consume Tiger parts ever stop or is this species doomed? Sign up with and organization like Tiger Time and add your voice to help ban the trade in Tiger parts. Educate others, you would be surprised how many people are simply unaware, and when traveling be aware and never buy any products derived from Tigers. Contact the Chinese Government or your local embassy encouraging them to close Tiger farms and commit to enforcing a ban on Tiger parts for good. In the meantime, all those people involved should have their “wealth” redirected to support Tiger conservation, mass education on this issue and anti-poaching units. May not be an equal trade for the Tigers lives, but it’s a start. This entry was posted in Tigers and tagged China, conservation, endangered species, TCM, TIger bones, Tiger Time, Tiger Trade by Purr and Roar. Bookmark the permalink.